A pattern that we often see is that of the silo-thinking and lack of common, shared goals in the teams. Peter shares such a story as well as the steps he took to climb out of that whole and build a great team that is still in contact with him to this day. Peter is working as a consultant, trainer and coach based in Munich. He started working as a Java software developer in 2001, changed to consulting in 2006 and has been working as software developer, software architect, technical project manager or team lead. 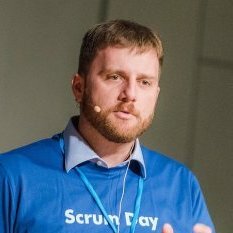 He is a Professional Scrum Trainer at scrum.org and supports teams in adopting Scrum since 2008. You can link with Peter Götz on LinkedIn and connect with Peter Götz on Twitter. And our listeners in Germany can find Peter Götz on Xing.